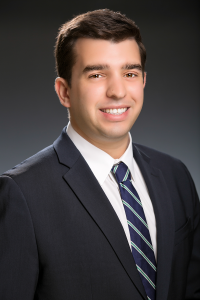 Elliott Gluck is the Senior Director, External Relations at First Focus, where he works closely with the policy team to provide research, writing, development and advocacy support. Prior to joining First Focus, Elliott taught middle school language arts and social studies in Chicago, Illinois. Elliott graduated from Northwestern University with a bachelor’s degree in political science and history. He also received a certificate in integrated marketing and communications from the Medill School of Journalism. While at Northwestern, Elliott served as an intern on the Obama for America’s Midwest Finance Team at the campaign’s headquarters in Chicago where he conducted donor research and coordinated major fundraising events. Prior to this, Elliott was a Senior Campaign Fellow for Congressman Brad Schneider, supervising student interns and staffing fundraising events for the campaign. He also interned with the Pennsylvania Governor’s Action Team where he researched Pennsylvania’s and state-competitors’ incentive packages for businesses expanding or relocating in the state. Additionally, Elliott was a Lead Political Organizer for SEIU, leading political outreach to union members regarding the 2008 elections and key policy issues.